Mount Rainier is a massive volcano located 54 miles (87 km) southeast of Seattle in the state of Washington, United States. It is the most topographically prominent mountain in the contiguous United States and the Cascade Range, with a summit elevation of 14,411 ft (4,392 m). 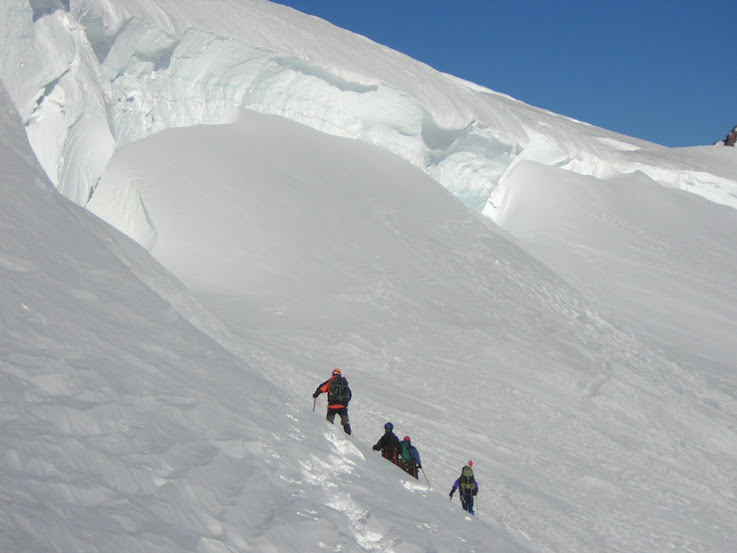 Climbing Mount Rainier is difficult, and although many novices summit, if it’s your first summit we recommend attempting other cascade peaks first and hiring a reputable guide. Most climbers require 3 days to reach the summit. Climbing teams mandate peak fitness, experience in glacier travel, crevasse-rescue, winter camping, and first aid. On average 11,000 people attempt the summit each year, most via the Disappointment Cleaver route from Camp Muir on the southeast flank. 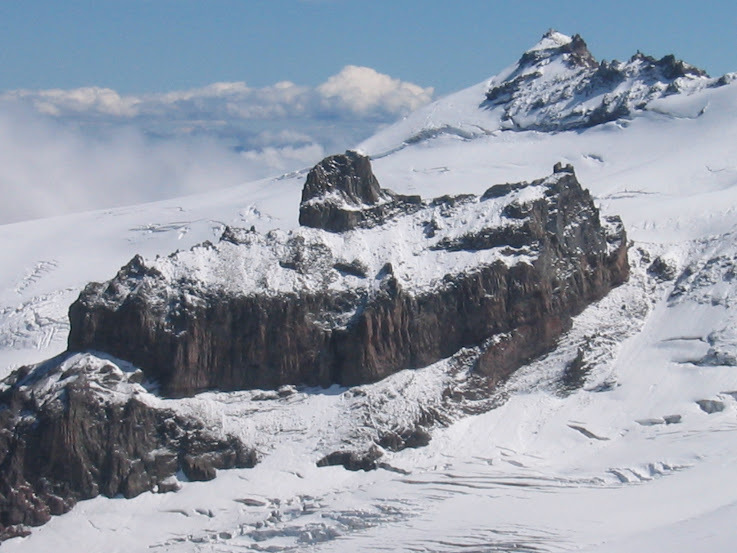 The next popular route is the Emmons Glacier via Camp Schurman on the northeast. The Emmons Glacier provides a more remote experience. About half of the attempts are successful, with weather and conditioning being the most common reasons for failure. There are numerous other routes like Liberty Ridge for more experienced climbers. On average Mt. Rainier experiences 2-3 fatalities per year. Dangers include rock and ice fall, avalanches, falling (including crevasse falls), and exposure. Mt. 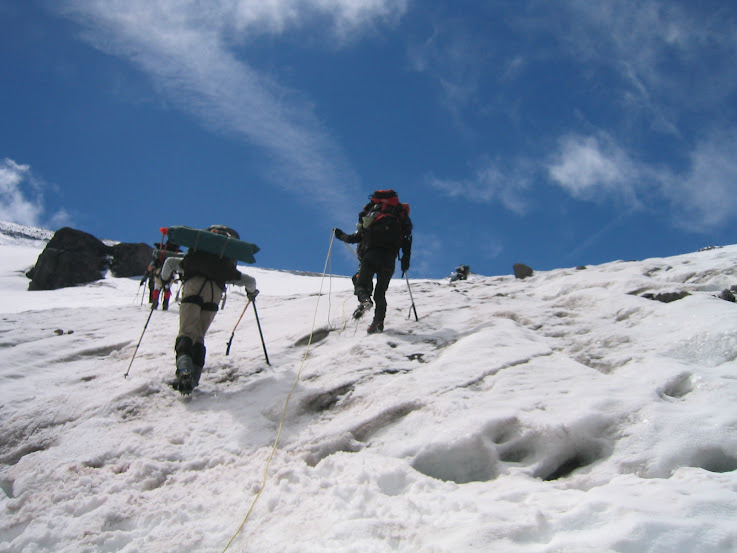 Rainier and its glaciers are one of the best training grounds for high altitude mountaineering and the Himalayas. Hiking as much as possible on trails with elevation gain. If possible climb Mt. Baker, Mt. Adams, or mountain with snow on route similar to 6000 ft of elevation gain and 10 miles of round-trip distance. Beginners should give themselves 12 weeks to get in condition, we recommend the FitClimb Mt. Rainier Training Plan.